Oppor­tun­ity Peter­bor­ough (OP) and Peter­bor­ough City Coun­cil (PCC) held a con­fer­ence on 24 Janu­ary 2019 to bring togeth­er prac­ti­tion­ers in the fields of Cir­cu­lar Eco­nomy (CE) and Future Cit­ies (FC), to share ideas and exper­i­ence and develop the busi­ness case for cir­cu­lar, sus­tain­able cit­ies. 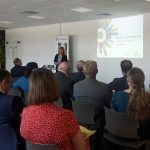 This was an event to inspire those work­ing in or adopt­ing cir­cu­lar eco­nomy to help them learn, share, net­work and col­lab­or­ate and develop future path­ways to suc­cess­ful imple­ment­a­tion. The event will strongly link to fol­low up events to be run by the Uni­ver­sity Centre Peter­bor­ough (UCP) in June 2019 focused on the prac­tic­ally based research and devel­op­ment on the top­ic. UCP’s trans­ition to become a fully-fledged Uni­ver­sity will include a unique focus on the Cir­cu­lar Eco­nomy. The com­bined impact will rein­for­ce the city’s pos­i­tion as lead­ing the way on Cir­cu­lar City think­ing and devel­op­ment. The con­fer­ence itself con­sidered the com­plex top­ic con­sid­er­ing two con­nec­ted themes through an over­arch­ing nar­rat­ive of best prac­tice and busi­ness case devel­op­ment along­side the co-cre­ation of col­lab­or­at­ive next steps. It show­cased Peterborough’s sig­ni­fic­ant pro­gress in CE and FC and how the city plans to build on this in the future in col­lab­or­a­tion with oth­ers. The con­fer­ence will also con­sider CE in the con­text of how small to medi­um size busi­nesses can build innov­at­ive solu­tions through col­lab­or­a­tion and will bring learn­ing from the European Invest­ment Part­ner­ship (EIP) Small Giants imit­at­ive to inform this ele­ment. 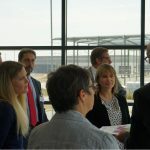 The event fea­tured inspir­ing speak­ers to chal­lenge and excite the del­eg­ates and to drive future col­lab­or­a­tions to accel­er­ate nation­al and inter­na­tion­al pro­gress towards a cir­cu­lar future. The present­a­tions them­selves were sup­ple­men­ted with inter­act­ive Q&A ses­sions, net­work­ing and focused work­shops to ensure that all attendees gained valu­able learn­ing. Finally, the ses­sions was filmed so the learn­ing can be accessed via the Future Peter­bor­ough web­sites bey­ond the event itself and insight. Keep a lookout on this page for our video! A – Prac­tic­al Approaches to City Scale Cir­cu­lar Eco­nomy — put­ting CE it into prac­tice at a city scale. B – Devel­op­ing the busi­ness case, from the­ory to imple­ment­a­tion includ­ing the EIP Small Giants col­lab­or­a­tion, scale up and Indus­tri­al Strategy rel­ev­ance. 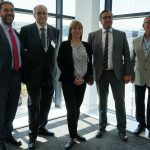 Pic­tured (l-r): Steve Bow­yer, Chief Exec­ut­ive of Oppor­tun­ity Peter­bor­ough, John Holdi­ch, Lead­er of Peter­bor­ough City Coun­cil, Emma Gilthorpe, Exec­ut­ive Dir­ect­or of Expan­sion at Heath­row, May­or James Palmer, Cam­bridge­shire & Peter­bor­ough Com­bined Author­ity, Cllr Peter Hiller, Port­fo­lio Hold­er for Growth, Plan­ning, Hous­ing and Eco­nom­ic Devel­op­ment at Peter­bor­ough City Coun­cil. Scroll down to see more images from the event. On Fri­day (6 July), Emma Gilthorpe, Exec­ut­ive Dir­ect­or of Expan­sion at Heath­row will be joined by May­or of Cam­bridge­shire and Peter­bor­ough, James Palmer, as she vis­its the Rox­hill Scheme at Gate­way Peter­bor­ough. The site is one of the two long­listed sites in the East of England. The vis­it is part of a nation­wide tour of 65 sites still in the run­ning to be off­s­ite con­struc­tion centres for Heath­row expan­sion. Four sites across the UK will even­tu­ally be selec­ted as Heath­row logist­ics hubs. The sites will be used to pre-assemble com­pon­ents of an expan­ded Heath­row before trans­port­ing them in con­sol­id­ated loads to the air­port. 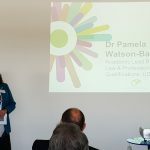 Logist­ics Hubs are essen­tial in ensur­ing Heath­row expan­sion deliv­ers for the whole coun­try by spread­ing jobs, boost­ing pro­ductiv­ity and mod­ern­ising the con­struc­tion industry out­side of Lon­don and the South East. 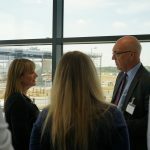 This will be the first time rep­res­ent­at­ives from the UK’s only hub air­port have returned to East Anglia since an over­whelm­ing major­ity of MPs speak­ing on behalf of con­stitu­en­cies across the UK, aligned to dif­fer­ent parties voted to sup­port expan­sion. 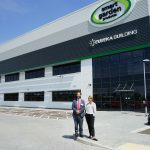 These sites are bid­ding to poten­tially become off-site con­struc­tion centres, giv­ing the East of England the oppor­tun­ity to help deliv­er Britain’s new run­way. 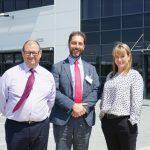 In March, Heath­row CEO John Hol­land-Kaye was joined by Brandon Lewis MP for Great Yar­mouth for vis­ited Peel Ports Great Yar­mouth. Dur­ing the vis­its, the pro­spect­ive bid­ders have the oppor­tun­ity to show­case the unique strengths of their sites. 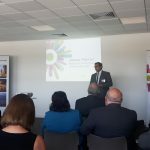 Heath­row expan­sion is set to cre­ate up to 12,900 new jobs and deliv­er up to £15 bil­lion worth of eco­nom­ic growth for the East of England. In addi­tion to the jobs boost from the poten­tial logist­ics hub, Cross­rail ser­vices are set to reduce jour­ney times from Shen­field to Heath­row. Last week’s par­lia­ment­ary vote on the Air­ports Nation­al Poli­cy State­ment has cleared the way for Heath­row expan­sion to become Gov­ern­ment poli­cy, mark­ing the end of the debate on the new run­way and grant­ing per­mis­sion for the project’s deliv­ery. These con­tin­ued site vis­its are just one of the ways that Heath­row is work­ing to kick start the deliv­ery of one of the UK’s largest infra­struc­ture pro­jects. 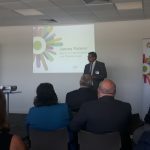 “We’re thrilled to be back in the East of England fol­low­ing the over­whelm­ing back­ing Par­lia­ment gave Heath­row expan­sion last week. It is bril­liant to see, first-hand, the poten­tial role the region could play in deliv­er­ing Britain’s new run­way. 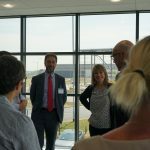 “We’re delighted to be host­ing the team from Heath­row today to show­case why Peter­bor­ough would make the per­fect loc­a­tion for a logist­ics hub. As a for­ward-think­ing, future city, Peter­bor­ough has excel­lent trans­port links, gig­abit speed inter­net con­nectiv­ity and a host of suc­cess­ful world-class busi­nesses oper­at­ing across all sec­tors – par­tic­u­larly man­u­fac­tur­ing and engin­eer­ing. Add to that our fant­ast­ic tal­ent pool of skilled work­ers and our ever grow­ing Uni­ver­sity offer, and the city’s case for being a logist­ics hub loc­a­tion is very com­pel­ling indeed. With the likes of Blue Plan­et shock­ing the nation and Michael Gove now eager to bring in new sus­tain­ab­il­ity legis­la­tion in the post-Brex­it era, the pub­lic mood is chan­ging. How do you ensure that your busi­ness is a sus­tain­ab­il­ity lead­er, rather than on the back foot? For the man­u­fac­tur­ing sec­tor, the cir­cu­lar eco­nomy offers a new mod­el to rethink how products are designed and made, to truly con­nect eco­nom­ic and envir­on­ment­al gains. This means redesign­ing products so they last longer, so they can be repur­posed, reman­u­fac­tured and even shared. The cir­cu­lar eco­nomy aims to ensure mater­i­als and resources remain cir­cu­lat­ing in the eco­nomy for as long as pos­sible and at their highest value. With increas­ing interest nation­ally, as demon­strated by the inclu­sion of the cir­cu­lar eco­nomy in the UK’s Indus­tri­al Strategy White Paper as a lever to increase pro­ductiv­ity, we want to make sure loc­al busi­nesses are aware of the con­cept and provided with the tools to sup­port them shift towards more sus­tain­able oper­at­ing mod­els. What? We’re offer­ing a free work­shop to provide an over­view of what the cir­cu­lar eco­nomy is all about, lead­ing industry prac­tices and prac­tic­al steps your busi­ness can take to become more pro­duct­ive and resource effi­cient. Who’s it for? Any organ­isa­tions with­in the man­u­fac­tur­ing sec­tor, or provid­ing ser­vices for man­u­fac­tur­ing busi­nesses…. or if you’re just inter­ested in the event! Organ­isa­tions with­in Peter­bor­ough, Fen­land, South Kesteven and the wider area are wel­come to attend. 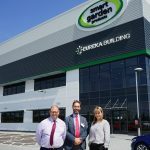 Our excit­ing line-up of guest speak­ers will be cov­er­ing the latest innov­a­tions in sus­tain­able man­u­fac­tur­ing…. Per­kins has a strong his­tory of reman­u­fac­tur­ing products, Tim will be explain­ing how this provides their cus­tom­ers with lower-cost products and deliv­ers cost sav­ings for Per­kins through the reuse of mater­i­als. Tim will also be talk­ing about optim­ising sys­tems, max­im­ising the use of mater­i­als and resources through­out a product’s life in order to cre­ate higher qual­ity products and reduce envir­on­ment­al impact. At Oak­dene Hollins, Owain works with busi­nesses to improve the sus­tain­ab­il­ity and cir­cu­lar eco­nomy per­form­ance of their products. Owain will be talk­ing about how a shift towards more sus­tain­able prac­tices can have real busi­ness bene­fits. 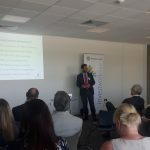 Owain will also be provid­ing an insight into their work estab­lish­ing the European Reman­u­fac­tur­ing Coun­cil and work­ing with glob­al busi­nesses. Alan will be talk­ing about the IET’s recent Sus­tain­able Man­u­fac­tur­ing report, which out­lines the ambi­tion for a post-Brex­it UK to cre­ate sig­ni­fic­ant social, eco­nom­ic and envir­on­ment­al impact. Alan will be mak­ing the con­cept of sus­tain­able man­u­fac­tur­ing real to busi­nesses by provid­ing action-ori­ented steps to deliv­er tan­gible impacts for micro-busi­nesses, SMEs and lar­ger com­pan­ies. There will also be oppor­tun­it­ies to dis­cuss the exist­ing chal­lenges your busi­ness is facing and explor­ing these with a range of experts. Cre­at­ing groups or net­works – you can now cre­ate groups on the site to exclus­ively share resources between mem­bers. Cap­tur­ing the impact of each trans­ac­tion – you can now see the pos­it­ive social, eco­nom­ic and envir­on­ment­al impact of each suc­cess­ful ‘share’ on the plat­form, from amount of waste diver­ted from land­fill to the num­ber of hours you’ve donated. You can also leave a com­ment or review after each trans­ac­tion. New user levels – you’ll now be able to show­case your com­mit­ment to shar­ing and cre­at­ing a more cir­cu­lar eco­nomy by being awar­ded a badge to reflect your level of activ­ity, from ‘New user’ to ‘Cir­cu­lar Hero’. What type of groups or net­works could I cre­ate? You can cre­ate a group for a loc­al busi­ness net­work, a spe­cific geo­graph­ic area, an office build­ing, an industry sec­tor, your sup­ply chain, or even your organ­isa­tion (if you have lots of depart­ments!). How do I cre­ate a group? How do I become part of a group? 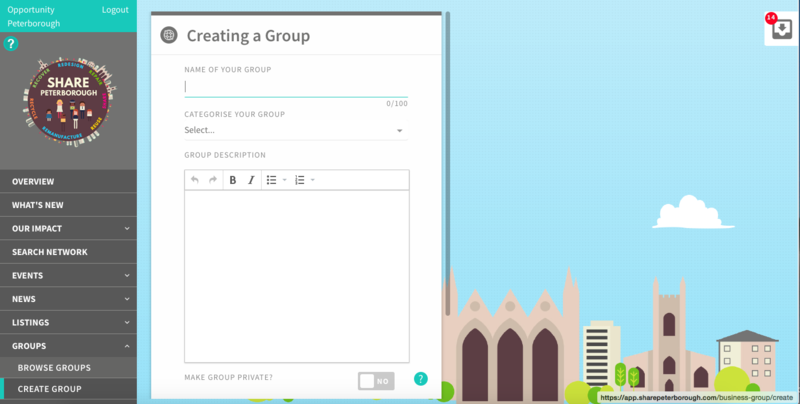 All you need to do is nav­ig­ate to the main menu, select ‘Groups’ and then ‘Cre­ate Group’. Then simply add a name, select a cat­egory and include a short descrip­tion. You also need to select wheth­er you’d like the group to be private or not. Cre­at­ing a private group means that oth­er users of the site won’t be able to see which organ­isa­tions are group mem­bers or apply to join, mem­bers will need to invite oth­er organ­isa­tions to join. 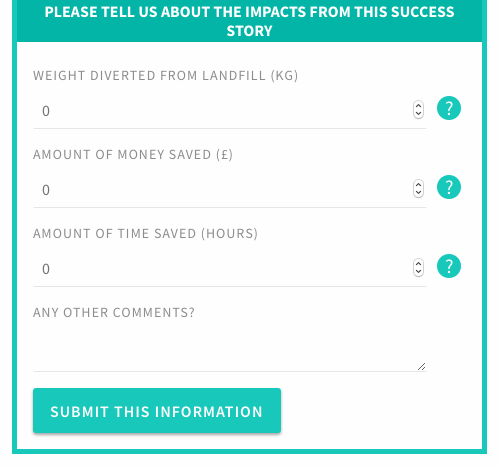 What’s in it for me… why should I fill out the impacts form? Once you’ve received or shared an item on the site, you will be dir­ec­ted to fill out a sim­ple form. Depend­ing on what’s been shared, you might be asked how much money/time this trans­ac­tion has saved you, the amount that has been diver­ted from land­fill or the amount of time you’ve donated. With the excep­tion of the amount of money that the site has saved your busi­ness, these impacts will then be imme­di­ately shown on your busi­ness pro­file, so that you can show­case the pos­it­ive envir­on­ment­al, social and eco­nom­ic impact your organ­isa­tion is hav­ing loc­ally. With a click of a but­ton, you can then share this on your social media chan­nels! I’ve already had a few suc­cess stor­ies, how can I make sure that the impacts of these are cap­tured? To make sure that the impacts of pre­vi­ous suc­cess stor­ies show on your busi­ness pro­file, you’ll need to quickly fill out the impact forms. To do this, nav­ig­ate to the main menu and select ‘Our Impact’ and then ‘My Incom­plete Suc­cess Stor­ies’. Then simply fill out the short form(s) – we prom­ise it will only take a mat­ter of seconds! What do the user levels mean? How do I pro­gress to the next level? Keep up the good work! Make sure you’re reg­u­larly cre­at­ing list­ings on the site, and remem­ber to mark each suc­cess­ful trans­ac­tion on the site as ‘com­plete’. To check wheth­er you have any out­stand­ing suc­cess stor­ies, you can go to ‘My Impact’ > ‘My Incom­plete Suc­cess Stor­ies’. 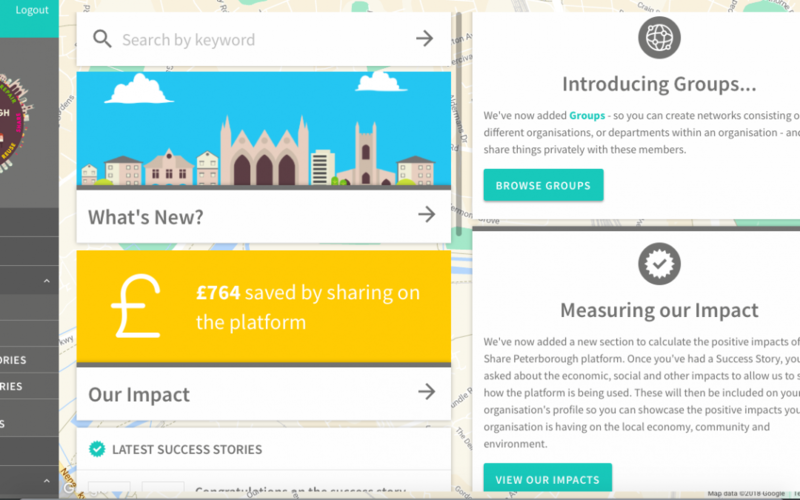 Make sure the rest of your team know about Share Peter­bor­ough and how it can be used. The more people that know about it, the more oppor­tun­it­ies you’ll find to use it! Check wheth­er you’re signed up to our weekly email digest. You can do this by check­ing your user set­tings. This will mean that you can find out about the latest items on Share Peter­bor­ough that match your busi­ness interests – and you’ll receive this every Fri­day after­noon straight to your inbox. Set aside 20 mins to do a quick office de-clut­ter! You’ll be mak­ing more space in your office and also mak­ing it look smarter for when you have those unex­pec­ted vis­its. Wheth­er you find unused folders, print­ers or even out­dated pro­mo mater­i­al, you can put all of this on Share Peter­bor­ough. And even if you think no one will want it, remem­ber… one person’s waste, really is another person’s treas­ure! Want to find out more about using the site and brush up your skills? We hold reg­u­lar work­shops, so please email info@sharepeterborough.com to find out when the latest one is! 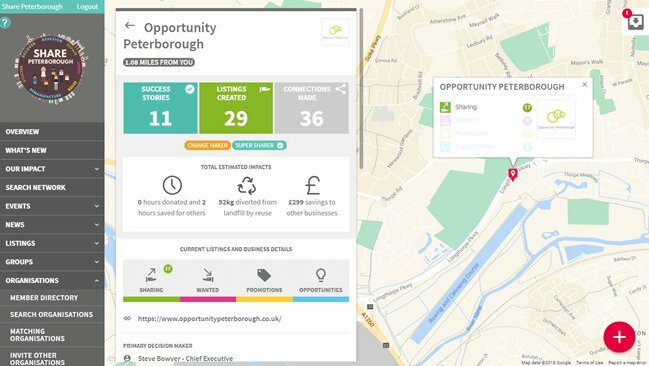 If you haven’t joined Share Peter­bor­ough yet, remem­ber it’s com­pletely free to do so and only takes a minute to sign up, simply click here. 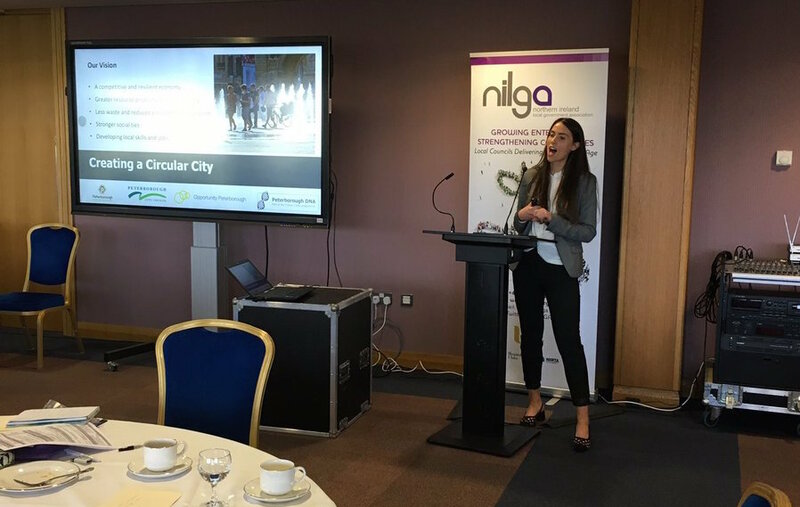 At last month’s ‘Found­a­tions for Innov­a­tion’ con­fer­ence organ­ised by North­ern Ireland’s Loc­al Gov­ern­ment Asso­ci­ation, I presen­ted Peterborough’s Cir­cu­lar Eco­nomy approach. The Future Peter­bor­ough team was invited to share our unique approach to imple­ment cir­cu­lar eco­nomy prin­ciples at a city scale, with loc­al author­it­ies across Ire­land. The con­fer­ence included a diverse range of speak­ers, aim­ing to explore the oppor­tun­it­ies of digit­al tech­no­logy, innov­a­tion and col­lab­or­a­tion and how coun­cils can har­ness these. The Cir­cu­lar Peter­bor­ough approach def­in­itely embraces these three levers! - The innov­at­ive online resource shar­ing plat­form for organ­isa­tions in the city (Share Peter­bor­ough) is a unique digit­al tool to facil­it­ate col­lab­or­a­tion between loc­al busi­nesses, com­munity groups and schools to make the most of the resources we have loc­ally and min­im­ise waste. 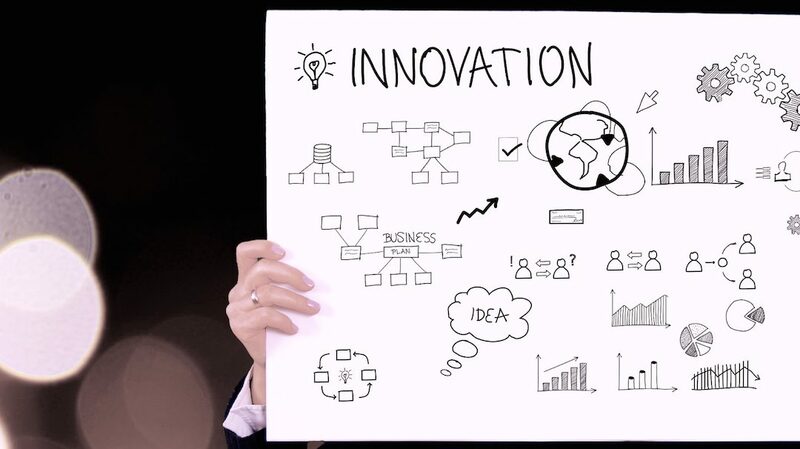 - Allia’s new Innov­a­tion Lab provides an excit­ing maker space for entre­pren­eurs to test their ideas with­in a state-of-the-art facil­ity, which received fund­ing from the European Region­al Devel­op­ment Fund and Future Peter­bor­ough (formerly Peter­bor­ough DNA). - The recently estab­lished Cir­cu­lar City Cham­pi­ons scheme which brings togeth­er a dynam­ic group of organ­isa­tions pas­sion­ate about driv­ing the cir­cu­lar eco­nomy agenda for­ward. In the ‘Get­ting smart, going cir­cu­lar’ ses­sion, I was joined by Mar­tin Doher­ty from Bel­fast City Coun­cil who dis­cussed how Bel­fast are work­ing towards devel­op­ing a cir­cu­lar eco­nomy loc­ally. 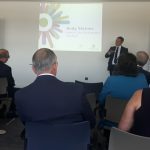 High­lights from the pan­el dis­cus­sion, chaired by Andrew Cas­sells from Mid Ulster Dis­trict Coun­cil, included the import­ance of mov­ing away from a purely waste man­age­ment per­spect­ive when con­sid­er­ing the cir­cu­lar eco­nomy. When we think about a cir­cu­lar eco­nomy, waste is often at the fore­front of most people’s minds! How­ever, if we are think­ing about stuff that is deemed as ‘waste’ and how to man­age it, we have already missed out on some valu­able cir­cu­lar eco­nomy oppor­tun­it­ies. The cir­cu­lar eco­nomy aims to design out waste, so we need to go back and rethink how products, ser­vices, busi­ness mod­els and sys­tems are designed. In Peter­bor­ough, we apply this think­ing by using our 7 Rs – our prac­tic­al steps towards cre­at­ing a Cir­cu­lar City. These include Rethink; Redesign; Repur­pose, Reuse and Share; Repair; Reman­u­fac­ture; Recycle and Recov­er. At the city level, the cir­cu­lar eco­nomy should cer­tainly stretch fur­ther than waste man­age­ment and con­sider how silos across the city can be broken down in order to rethink how resources are used and redesign sys­tems to ensure resources can remain cir­cu­lat­ing in the eco­nomy for as long as pos­sible. This requires think­ing at a stra­tegic level and enga­ging with a range of dif­fer­ent stake­hold­er to co-cre­ate innov­at­ive solu­tions. Whil­st the speak­ers dis­cussed the oppor­tun­it­ies avail­able to those involved in devel­op­ing cir­cu­lar eco­nom­ies, ques­tions from the audi­ence focused on how to encour­age a beha­vi­our change in cit­izens so they can play a role in cre­at­ing a more cir­cu­lar eco­nomy. In my opin­ion, this needs to be a mix­ture of tar­geted cam­paigns to pro­mote a mind­set shift away from throwaway cul­ture, and top down poli­cy change to facil­it­ate wider changes. Key to this, is chan­ging how we value resources. As con­sumers, a fun­da­ment­al change is needed in how we value the products we use, food we pur­chase and even the pack­aging we dis­card. This change is needed to ensure that we make the most of what we have and take appro­pri­ate action when we have ‘fin­ished’ using the resource, wheth­er that be using items for longer, going to the effort of repair­ing a broken house­hold appli­ance rather than buy­ing a new one, tak­ing your old clothes to a char­ity shop, or recyc­ling your old phone. One chal­lenge raised dur­ing the con­fer­ence related to how iPads and iPhones destined for land­fill could be repur­posed and reused. A del­eg­ate ques­tioned wheth­er we could give these to those that need them. Although this was not imme­di­ately recog­nised as a cir­cu­lar eco­nomy ini­ti­at­ive, it is a great example of one that could have a massive impact on people in cit­ies. Using tech­no­logy, innov­a­tion and col­lab­or­a­tion, loc­al author­it­ies can cer­tainly drive the cir­cu­lar eco­nomy agenda for­ward and cre­ate cit­ies in which we make the most of the resources that are avail­able loc­ally. To find out more about the Found­a­tions for Innov­a­tion con­fer­ence, take a look at the Con­fer­ence Report.